The Ghan train in Australia is one of the world’s great rail journeys, traversing the vastness of the Outback through Flinders Ranges and into the heart of the Red Centre from Adelaide to Darwin. It’s an elegant train with comfortable interiors and modern suites. For first time train travelers, we usually recommend enjoying one leg of the journey by traveling from Alice Springs to Darwin or vice versa. It’s an easy way to experience the wonder without committing a bulk of your vacation to something you are unsure of. Whether you’re socializing in the Outback Explorer Lounge, relaxing in your Gold Service suite or dining in the Queen Adelaide Restaurant, you are going to be comfortable. The seats are wide, you have generous leg room and you can move from car to car with ease. The attentive and professional staff will tend to your every need with a warm smile and friendly demeanor. By night your cabin is prepared with comfortable bunks that will feel like you are sleeping on air. With Gold Service, luxurious bathrooms and showers help prepare you for a restful night of sleep as you journey through the outback. When you’re on The Ghan the only thing you need to do is sit back and enjoy the scenic ride. There is no traffic to deal with and no worry that you’ll get lost in the Outback. On The Ghan you get to see the countryside without the responsibility of navigating the journey. Instead, you’ll spend your time reading, sleeping, writing, eating and enjoying choice beverages all while taking in the views. Pass the time with fellow passengers as you trade travel stories and learn about each others’ home countries over a glass of wine and a plate of nibbles. Sure, The Ghan delivers much more than an extended train ride when it comes to comfort and service, but the one thing that will leave you feeling truly inspired is the fantastic scenery. You’ll likely find yourself staring out the window for long stretches of time. But it’ll be difficult to tear your eyes away. You’ll be transported from the lush green hills surrounding Adelaide into the rusty hues of the Red Centre, then on to the tropical splendor of Australia’s Top End. Be on the lookout for wildlife hidden within the bush – you’re sure to spot kangaroos taking in the fresh, cool air at dusk! The Ghan offers whistle stops where you can choose to catch a tour or explore on your own for a few hours. This gives you the opportunity to see and experience places off the beaten path. Going Northbound, you’ll first stop in the pioneer town of Alice Springs. Alice Springs is a great place to immerse yourself in Aboriginal history. You can visit a working camel farm, see the region’s birds and wildlife or opt for the Spirit of Mt. Gillen Helicopter Flight, a scenic flight that takes you over Simpon’s Gap and the Larapinta Trail. Your next stop will be in Katherine. 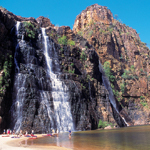 You can cruise down Katherine Gorge, hike in Nitmiluk National Park or maybe kayak down the Katherine River. You may just want to wander around town and explore the local attractions. Travel Southbound and you’ll find yourself in Coober Pedy, the the opal mining capital of the world where more than half of the residents live underground! Book the Gold Service or above and you can put your credit card away while you’re aboard The Ghan. Enjoy three gourmet meals per day and have your fill of Australian wines, beers, base spirits and other non-alcoholic beverages. Your fare also includes various off train excursions and whistle stop tours! You can bring up to 110 pounds of luggage per person and you’ll receive complimentary shuttle service in Darwin. During a busy vacation, sometimes all you want to do is find a place where you can be alone, decompress, and take a breath. On The Ghan Gold Service, passengers can retire to their private sleepers, either a two-berth for traveling companions or singles-berth if you are traveling solo. The sleepers are comfortable with freshly made-up beds in the evening and seats during the day. Lay down and relax as the soothing sounds of those big steel wheels rolling down the track lull to you sleep. The Food Is To. Die. For. The Ghan serves fresh, regionally sourced Australian food, complemented by a range of all-inclusive wines, beer and non-alcoholic beverages. You’ll taste everything from Top End barramundi, Margaret River cheeses, and native Australian fare including kangaroo, saltbush and wild rosella flower. 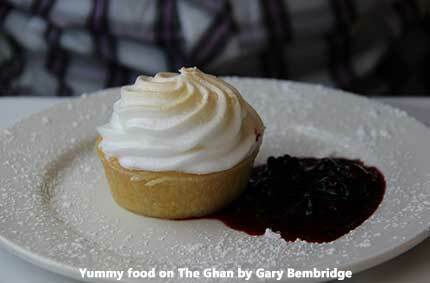 There’s no doubt many Aussie travelers rate the food in and of itself as a huge draw to experience The Ghan. 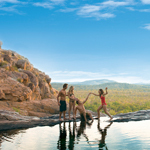 The Ghan is one of the best ways you can experience the Red Centre in all its glory. It’s also a great way to travel to Uluru (Ayers Rock). Once you’re in Alice Springs, take a coach over to Uluru and experience the magic of this inspiring outback landscape. 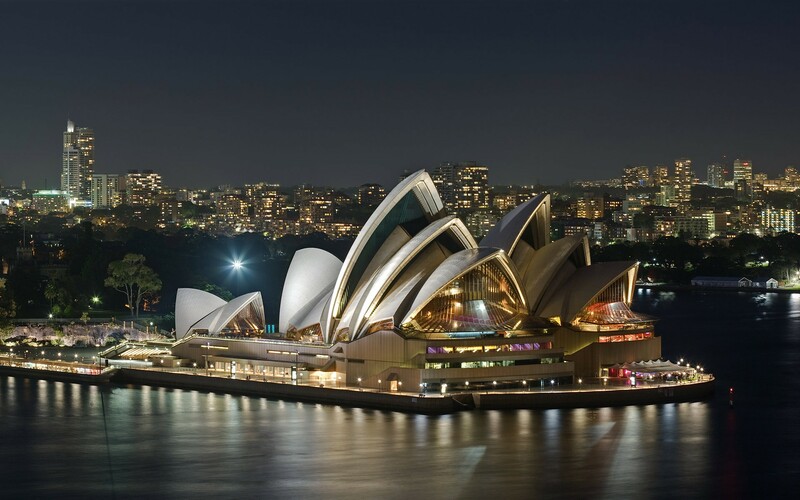 Are you ready to plan your trip to Australia? Whether you want to include a journey on the Ghan in your Australia vacation or want to know more before you book, our travel experts will take care of all your arrangements. We’ll make this once-in-a-lifetime rail journey happen. Think of Kangaroo Island as a time capsule of Australian natural history. Its separation from the mainland has allowed endemic species to thrive where they have otherwise been eradicated by invasive species in present day Australia. And if Kangaroo Island is a time capsule, Flinders Chase National Park may be its most important artifact. Flinders Chase National Park is a look back in time at the Australian outback. See huge swaths of pristine, untouched wilderness perfect for an afternoon hike. Geological wonders ripe for photo opportunities dot the landscape. Nineteenth century architecture provides a look back to the country’s early history. Take a walk into the past with our guide of things to see at Flinders Chase National Park. This stunning, natural archway almost looks meticulously sculpted. The multi-layered, rock bridge features gnarled stone and hanging stalactites. Thousands of years of erosion from the water below formed the hollow we see today. Take a walk down to the viewing platform. From there you’ll have the best view of Admiral’s Arch through to the sea beyond. Tip: Sunsets at Admiral’s Arch are breathtaking. From the right point on the viewing platform, you’ll see the sun set over the water centered in the arch. Also be sure to lookout for a colony of New Zealand fur seals that have made their home on the slab of stones directly below the Arch. Those seals scored some of the best real estate in the country! This signature landmark is almost a rite of passage on your trip to Kangaroo Island. Remarkable Rocks is one of the best photo-ops on the island. The aptly named granite stones look almost unnatural when you look at them. Like they could have been sculpted by humans. But their round-waviness is evidence of the more than 500 million years it took for them to form. Rain and waves from the ocean wore down huge granite boulders to the interesting, pitted rock formations they are today. Orange lichen covers many of the formations found at Remarkable Rocks. Combined with the pink, black and blue granite mix, the rocks take on a multi-colored rainbow hue, especially during sunrises and sunsets. Photographers take note: the “golden hour” here is truly remarkable. No wonder this is one of the most photographed spots on Kangaroo Island. 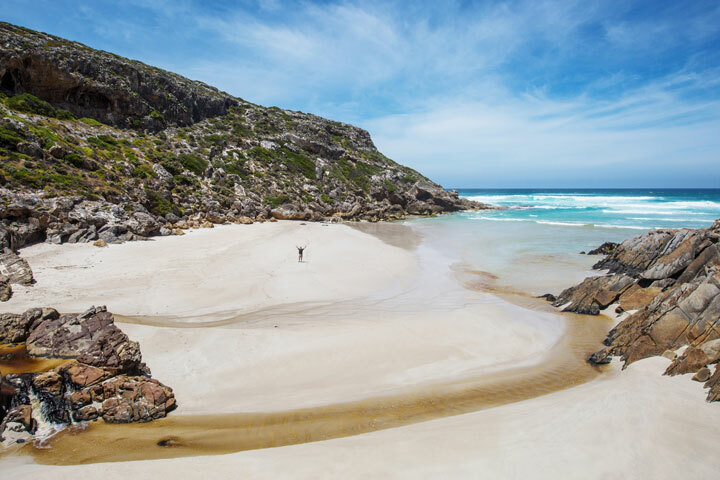 This Kangaroo Island hike is a beautiful look in to the past. Begin at the Cape de Couedic lighthouse. This 19th century lighthouse is isolated on the tip of Kangaroo Island. In fact, in the lighthouse’s early days the keepers would remain in the keepers’ cottage with their families, only being delivered supplies every 3 months. No wonder lighthouse keepers are said to be reclusive! Today, the lighthouse is fully automated, eliminating the need for a full-time keeper. The cottages surrounding the lighthouse have been turned in to destination accommodations for those looking to get away from it all. While you’re at the lighthouse, embark on the 2-mile hike down to Weirs Cove. When the lighthouse keepers would receive their once-every-3-month resupply, they would make the same trek down to the cove. Because of the rough terrain, getting supplies from the cove to the lighthouse required a zipline-winch system pulled by horses. Even after the motor vehicle was invented – horsepower prevailed. On your hike, you’ll see the remains of this zipline supply system along with sheer cliff faces and stonework more than 100 years old. Not to mention, the view over the sea from the cove is spectacular! “You had me at platypus”. One of the most sought-after wildlife sightings in Australia is this duck/beaver hybrid creature. The duck-billed platypus is such an odd creature, that the first scientists to examine one thought they were the victims of a prank! It’s an animal that doesn’t really know if it’s a water creature or a land mammal, or maybe a bird? In any case, the platypus is as cute as it is perplexing. Enter this walk straight from the Flinders Chase visitors center. The 2.5 mile stroll winds past Aussie bush and watering holes where the platypus’ have been known to make their home. They can be elusive creatures, so there’s no guarantee you’ll see a platypus immediately. But keep your eyes peeled for this rare animal found only in Australia. Try and time your walk around dawn and dusk to have the best chance at a spotting. The perfect way to cool down after a long walk seeing the Flinders Chase sights. This pristine beach is “postcard-ready” with it’s white sand and sapphire-turquoise waters. Though this secluded beach is a favorite among Flinders Chase visitors, it is rare that you’ll find a crowd on this coast. Instead, enjoy the quiet atmosphere and surrounding cove. Swimming and fishing are permitted at West Bay so come to the park prepared for a day at the beach after seeing the sights. For those looking to rough it a bit on their vacation, nearby West Bay campground is a great spot to stay overnight just steps from the shore. Camping out lets you see the sunrise and set over the coast for an unforgettable experience. Just remember to pack in all you’ll need for the day and night. The West Bay campground provides a place to pitch a tent and little else. The only creature-comfort you’ll find, luckily, is a toilet – but don’t forget your water and portable stove! This scenic walk starts at Snake Lagoon and winds through Sugar Gums and mallee before descending into the Rocky River Valley. The trail crosses Rock River and meanders along its band to the Southern Ocean Coast. You can find the trail head about five and a half miles from Flinders Chase Visitor Center off West Bay Road. Of course, it wouldn’t be Kangaroo Island without the kangaroos! Flinders Chase National Park is a great place for spotting this iconic Aussie creature. You’ll find roos hopping around this protected reserve as nature intended. Along the walks from the Flinders Chase National Park entrance, keep your eyes peeled for kangaroos that are hopping around and feeding. Tip: If you’re driving along the roads that go through Flinders Chase at dusk – be extra careful! Kangaroo are much like deer in that they can cross the roads at the most inopportune times. So take it slow, make sure your head lights are on and be careful for kangaroos! For wildlife spotting, Kangaroo Island can’t be beat. 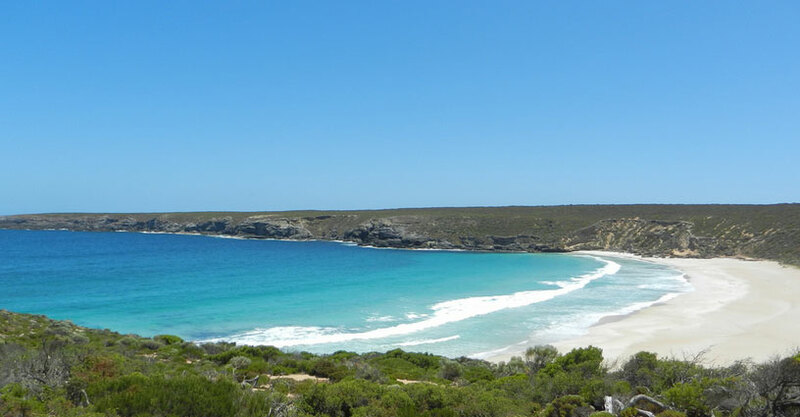 While you’re there, be sure to make your way to Flinders Chase National Park. You’ll get a perfect mix of some of Australia’s best natural sights and outdoor beauty. From the bush and the outback, to the pristine beaches and coast, to the rugged rock formations, Flinders Chase National Park has it all. Plus, how many people do you know that have seen a Platypus in real life? Ready to start planning your trip now? You can tell a lot about a city based on how it treats its art. A well-kept museum attracts visitors from all over the world and oftentimes is one of the greatest memories you take with you when you leave. It’s not often that someone visits Paris and doesn’t go to the Louvre. But sometimes those huge museums can resemble the worst aspects of an amusement park. The ticket prices high. The ambiance non-existent. The gift shop unavoidable. You came for the culture, not the long lines. Instead, head on over to North Terrace Adelaide – the cultural epicenter of South Australia. This art and museum district is loaded with great places to take in international and local art,culture and history – stress and entry-fee free. Start your tour off with a visit to Adelaide’s premier cultural institution. The South Australian Museum is in a 5-story building on the North Terrace, making it the largest in South Australia. It houses a variety of natural history and sciences, archaeological and biological exhibits. The museum also holds the largest and most comprehensive collection of Aboriginal art and ethnography in the world. You’ll see ancient Aboriginal tools, instruments, jewelry, ornaments and more in the museum’s vast collection. Tip: Take the guided museum tour. An expert tour-guide walks you through the museum, giving you insightful commentary on the collections within. The in-depth knowledge provided by the guides are a terrific way to make the most of your museum. And did we mention the tours are also free? On the opposite side of South Australia’s largest museum sits South Australia’s largest library. The State Library of South Australia has tens of thousands of books old and new. Reference materials and ledgers that date all the way back to pre-European settlement offer unique insight in to the history of this Aussie state. Spend some time in the Mortlock Wing, a section of the library that visitors have referred to as being “Harry Potter-esque”. Victorian-era architecture and old-world charm of the interior make you feel like you stepped straight in to a cozy reading chamber in Hogwarts. The Mortlock Wing was also named one of the most “Beautiful Libraries in the World” by Travel + Leisure Magazine. We think you’ll love browsing the centuries old library, thumbing through books and appreciating this South Aussie staple. You won’t have to travel far for a bit of downtime from the hustle and bustle of the city-center. More than 130 acres of thriving greenery make up the Garden, making it the largest in South Australia. In addition to the amazing plant-life found in the gardens, the site is home to three large, glass-structures. The Palm House is an amazing Victorian era glass structure. Garden designers in 1875 had the entire structure shipped from Germany in flat boxes and reassembled in Adelaide, making this mail-order building the first of its kind. And you thought assembling Ikea furniture was hard! Also check out the Bicentennial Conservatory and the Amazon Waterlily Pavilion for more amazing glass architecture. You don’t often hear the words “beautiful” and “government” in the same sentence together, but we’ll try anyway: You’ll definitely want to check out the beautiful architecture of Adelaide’s finest government building at the Parliament of South Australia. There, that wasn’t so hard! The huge marble and granite Parliament House building is where the magic happens for South Australia’s lawmakers and heads of state. Take one of the guided tours inside for a look at its great interior design. You’ll also hear the secrets behind the red tape that caused this building to take more than 50 years to complete! This beautiful urban campus is another centerpiece of downtown Adelaide. Walk the grounds of this famed research institution. The University’s public art galleries and museums are a great way to spend some time soaking in some fresh student art and work from artist residencies. The Samstag Museum is one of the best places to see contemporary work from art students and visiting artists. The focus at Samstag is on cutting edge visual art and sculpture in a building whose architecture is as notable as the work inside. The funky glass and concrete structure is a visually striking introduction to the contemporary works inside. In honor of those who fought in the First World War, this large concrete memorial sculpture is a historically significant part of South Australia culture. Located adjacent to South Australia Government House, the site serves as a gathering place for Anzac Day and Remembrance Day, both Australian holidays to honor those who served and died in the line of duty. The North Terrace is home to so many art galleries its almost hard to keep track. Here’s a selection of some of our favorites.